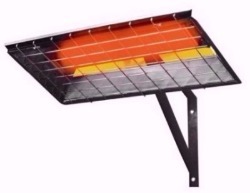 We have a wide variety of gas fired and electric heaters including infrared, radiant, tube type, high intensity, vent free, forced air, portable, ceiling suspended, tank top, propane, salamander and wall heaters for use in garages, shops, aircraft hangars, outdoor patios, horse barns, camping sites, job sites, freeze control, emergency heating, dairy buildings, warehouses, greenhouses and a heck of a lot more. Heaters - It's what we do. And Heaters Unlimited is an easy way to search for and buy heaters for a wide range of uses. As you shop here, you'll see the most popular and most commonly asked for heaters from the industry's most respected brand names including Superior Radiant, IR Energy, Enerco, Mr. Heater, Heat Wave, Heatstar, Fostoria, TPI, VAL6 and Chromalox . Each heater we show includes a complete description including size, heat output and technical specifications to help you order just the right product for your needs and do it right the first time. Shopping here is easy, safe and you'll save time and money. Simply click the "Shop" button on the menu bar or on one of the picture links shown here and you're on your way to finding the best heater for your particular needs. For some great reviews and helpful tips on various types of heaters for various applications, please click on "Articles" on our menu bar. 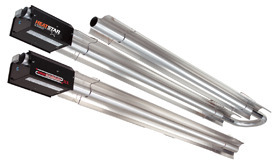 For more information, visit our corporate web sites www.infraredinfo.com or www.superiortubeheaters.com. Or, call us at 801-571-0036. We're here to help!